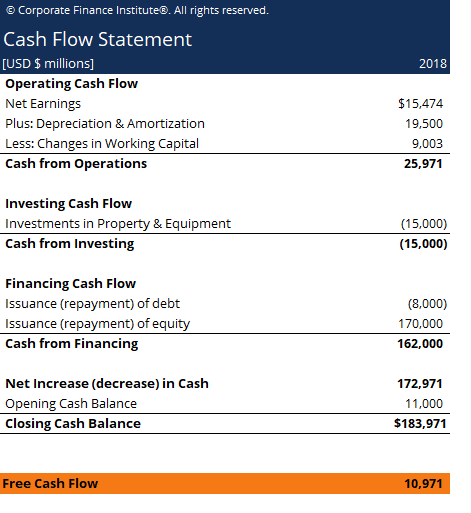 This free cash flow template shows you how to calculate free cash flow using a cash flow statement. Free cash flow (FCF) measures a company’s financial performance. It shows the cash that a company can produce after deducting the purchase of assets such as property, equipmentPP&E (Property, Plant and Equipment)PP&E (Property, Plant, and Equipment) is one of the core non-current assets found on the balance sheet. PP&E is impacted by Capex, Depreciation and Acquisitions/Dispositions of fixed assets. These assets play a key part in the financial planning and analysis of a company’s operations and future expenditures, and other major investmentsIntangible AssetsAccording to the IFRS, intangible assets are identifiable, non-monetary assets without physical substance. Like all assets, intangible assets are those that are expected to generate economic returns for the company in the future. As a long-term asset, this expectation extends for more than one year from its operating cash flow. In other words, FCF measures a company’s ability to produce what investors care most about: cash that’s available be distributed in a discretionary way. When someone refers to FCF it is not always clear what they mean. There are several different metrics that people could be referring to.